Just when I thought I couldn’t possibly get more neurotic about flying in a post-Sept. 11 world, airport security is now trying to get into our collective pants. 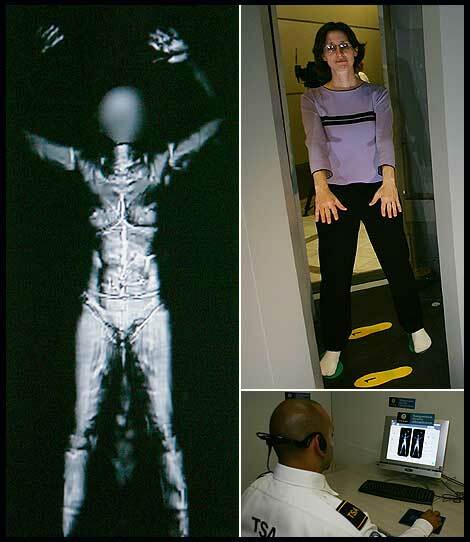 Have you heard about the freaky Transportation Security Administration’s full body scanners, probably already at an airport near you? They can see your tampons…and not when they’re in your purse. There are fears that the machines’ high powered rays can give you cancer. The images they collect (of you and your children, not just the guy in line ahead of you) can be scanned and spread through the Internet. There is a movement afoot to ban the scanners in New York airports…let’s hope others soon follow. The TSA Blog is fighting back with its latest post. But: how do we know the true effectiveness of these scanners? If the bad guys want to blow us up, they will figure out a way to get around the system. As usual, it’s everyone else—the law abiding citizens—who pay the price. National Opt-Out Day, set for Nov. 24th, America’s busiest travel day of the year, also appears to be gaining strength. I’m curious to see what happens. Even the Fung Wah bus is better than this.